For those unaccustomed to the dining schedule of the Iberian Peninsula – where breakfast begins around 7am, lunches are long and evening meals are served late into the night – it can be challenging to get into sync with the timescales associated with meal times here. For those seeking alternative arrangements here is our guide to places to go for brunches and light lunches in Barcelona. Since opening in 2010 Federal has been the go-to place for brunch in Barcelona. Eggs, juices, grilled halloumi, pastries, granola, smoothies – you name it, they serve it! Their premises in a leafy corner of Sant Antoni are light and airy, and the perfect location to spend a lazy weekend morning. Be warned, this is a popular spot which does not take reservations, so get down their early to avoid disappointment. Address: C/Parlament 39, 08015, Barcelona. Opening Hours: Monday – Thursday 08:00 – 23:00, Friday 08:00 – 01:00, Saturday 09:00 – 01:00, Sunday 09:00 – 17:30. Metro: Poble Sec (L3/Green Line) or Sant Antoni (L2/Purple). Web: www.federalcafe.es Free wifi. 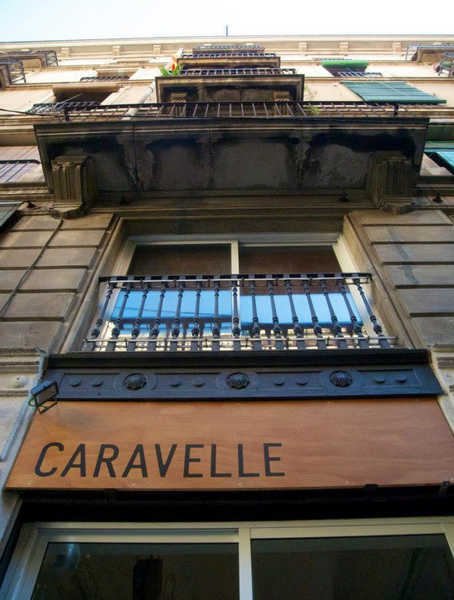 Situated close to La Rambla on one the most handsome streets in Raval you will find this contemporary café bar, that does a mean brunch (served from 10.30-16.00 Saturday and Sunday) and lunch (served on week days between 13.00-16.00). Their seasonal menu changes regularly and they consistently deliver high quality and generous portions at a reasonable price. They smoke their own pork, bake their own cakes and make an excellent cup of coffee. Watch out for their exquisite tacos and phenomenal pulled pork sandwiches. Address: C/Pintor Fortuny 31, 08001, Barcelona. Opening Hours: Tuesday – Saturday 10:30 – 00:00, Thursday – Saturday 10:30 – 01:00, Sunday 10:30 – 00:00. Metro: Liceu (L3/Green Line). 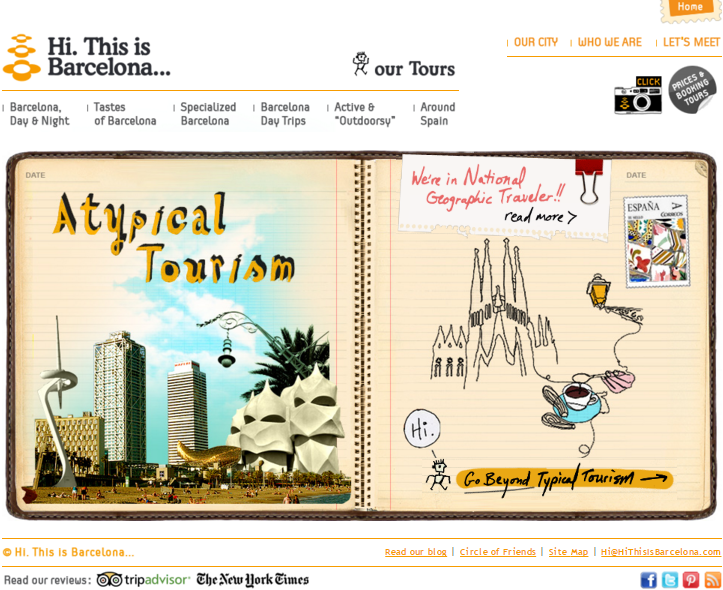 Web: www.caravelle.es Free wifi. 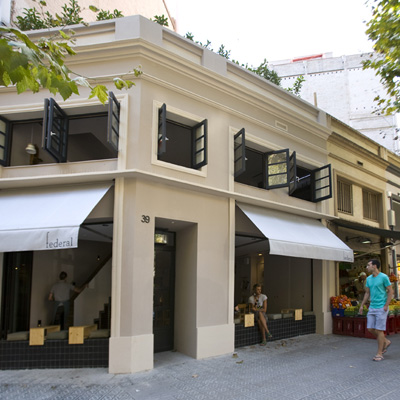 A hidden gem in a Gracia back street, Les Tres a la Cuina is most definitely worth making a special effort to visit. You will be delighted by their inventive, healthy and locally sourced menu which represents exceptional value for money. For example, during the week their lunch service includes a menu consisting of a choice of three appetizers, three entrées/main plates and a dessert for an incredible 9 Euros. Currently brunch is only served on Saturdays, but from March 2014 they are planning to also open on Sundays (exact date to be finalized). Address: C/ Sant Lluís 35, 08012, Barcelona. Opening Hours: Monday – Friday 10:00 – 18:00, Saturday 11:00 – 17:00. Closed Sunday. Metro: Joanic (L4/Yellow Line). Web: https://www.facebook.com/pages/Les-Tres-a-la-Cuina/ Free wifi. It shouldn’t take a genius to work out what kind of food to expect at Tarte & Quiche, but my god, are they good at what they do. This tiny little café run by two French men, brings a chic slice of Parisian heaven to a tucked away corner of Eixample. 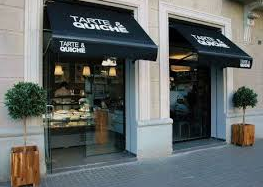 It is practically impossible to leave the premises without sampling at leave one quiche and one tarte – they are simply too tantalizing. 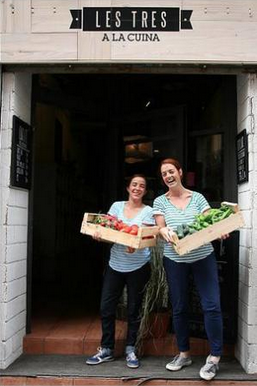 This lively new spot in the Gothic Quarter attracts a young mix of both locals and tourists. The staff are very welcoming and accommodating, and their menu contains many brunch classics, including eggs benedict, English or American breakfasts, French toast and pancakes, alongside other options such as salads and burgers. Plus on certain days you will also be offered a free mimosa upon arrival! Address: C/d’En Gignàs 23, 08002, Barcelona. Opening Hours: Brunch/lunch Thursday – Sunday 10:00 – 16:00. Dinner Tuesday – Sunday 20.00 – 23.00. Closed Monday. Metro: Jaume I (L4/Yellow Line). 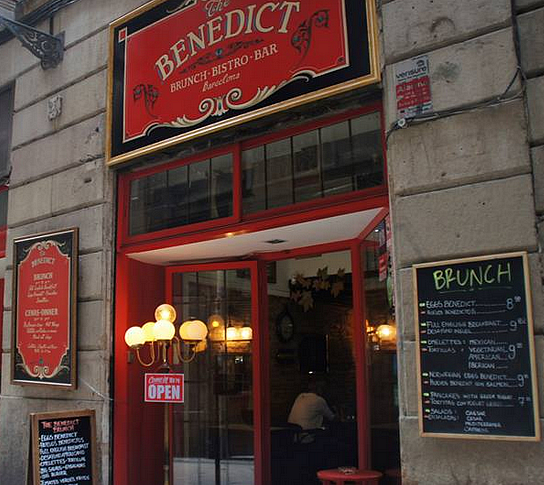 Web: http://www.benedictbcn.com Free wifi. Note – all of the above suggestions offer good choices for vegetarians. This entry was posted in Barcelona and around, Food and Drink and tagged Barcelona, Brunch, Caravelle, Federal, Les Tres a la Cuina, Lunch, Tarte & Quiche, The Benedict, Vegetarian Barcelona. Bookmark the permalink. Hey there! Really glad you liked it!